Woodard & Curran Foundation is pleased to support this project that will work to bridge the gap between macro-scale climate change science and drinking water system development for communities worldwide by developing an innovative Community Climate Change Strategy (CCCS) to design sustainable water systems for climate change adaptation and mitigation. This project will also improve the effectiveness of the CCCS by implementing a climate-ready drinking water system for a newly constructed school in Cumayasa, Dominican Republic. Getting first-hand experience with drinking water system development. During year 1 of the grant cycle, two assessments of the site in Cumayasa, Dominican Republic were completed. 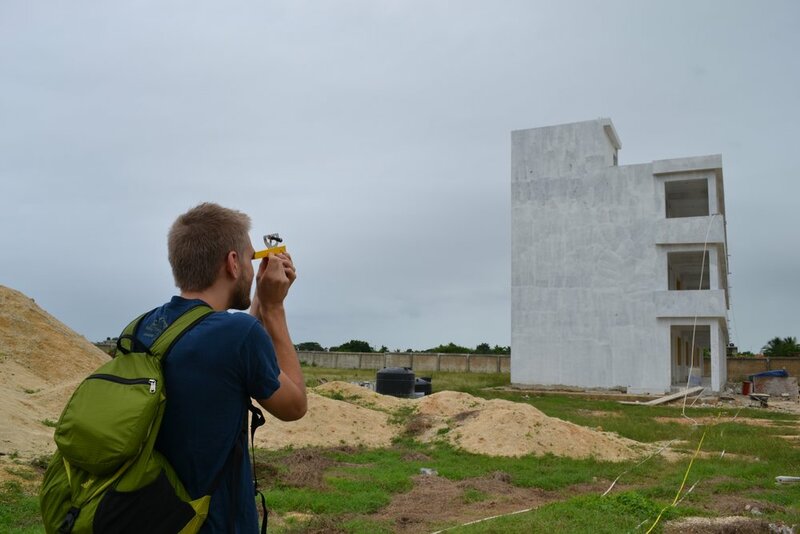 The assessment teams consisted of professors and graduate students from the University of Rhode Island (URI), graduate students and alumni from the University of South Florida (USF), and consulting engineers. Water testing equipment was purchased to perform water analyses of different water sources in Cumayasa. Initial steps were taken toward the development and dissemination of the Community Climate Change Strategy (CCCS). Meetings and presentations focused on the adaptation of water supplies to climate change were conducted, and ongoing feedback from prospective partners will be incorporated into the final CCCS. Project engineer David Kurtz surveys the project site where the climate-ready water system will be constructed.